Schedule time to meet with your fitness coach to chat or work out through video via your phone, computer or Ipad. Sessions are in increments of 30 minutes. This is a single session. However, you can purchase multiple sessions. 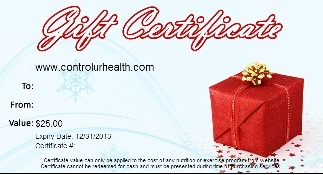 Give a timeless gift of Health & Fitness. 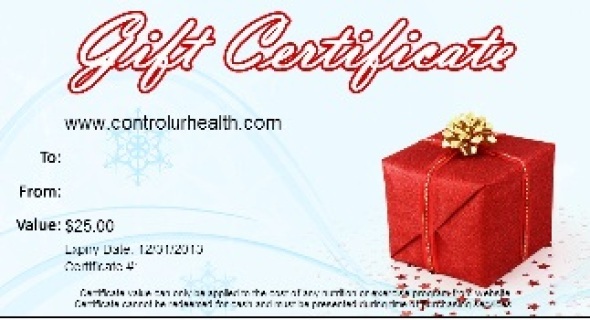 Purchase one gift certificate or multiple certificates. The certificate recipient will be able to apply the certificate cost to any of the meal plans or exercise programs from this website. You'll be able to print or email your purchased certificate(s) within 48 hours.